It has to be said, anyone who searches ‘asbestos’ or ‘mesothelioma’ on our blog will discover quite the backlog of content. 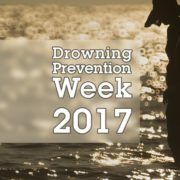 These interlinked topics have come up repeatedly over the last two years, whether it be through awareness days or a desire to educate people on the dangers. As such, I’m simultaneously confident and wary of retreading old ground. 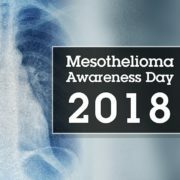 However, there are two simple reasons why I have opted to write another blog on this topic, one; Mesothelioma Awareness and its causes are always worth reiterating to save lives. Two; there are still a substantial number of people from either side of the world who dispute the fact that asbestos kills people. To anyone who is already versed in this, excuse the history lesson; to understand the present situation with asbestos and how it came into prominent usage it’s important to examine its past. A naturally occurring mineral, asbestos was originally hailed as a ‘miracle material’ as it rose to prominence in the industrial age. Besides being extremely durable, it’s resistant to fire and the majority of chemical reactions other materials suffer from. Its use can actually be traced back to Stone Age practices and throughout the Middle Ages, being used in a variety of items including protective shrouds, tablecloths and candles. However, it’s worth noting that even during Ancient Greek and Roman usage people weren’t blind to the dangers asbestos presented. Ancient Greeks and Romans recorded a “sickness of the lungs” suffered by miners retrieving the material and slaves who wove it into cloth. There are even references to makeshift breathing protection made of animal bladders, used in an attempt to protect workers from inhaling asbestos fibres. Fast forward to the late 19th Century and we reach a significant turning point for the material. Asbestos mining rapidly expanded alongside mechanization as it came into prominent use throughout industry and commerce; commended for its high levels of resistance and versatility as an industrial insulation material. By the early 20th Century it’s estimated that asbestos production had ballooned to 30,000 tons; with exposure extending beyond the predominantly male workforces of the day to even include women and children. Initial reports of the substance’s harmful impact upon workers’ lungs emerged as early as 1890’s in Austria and England, however it wasn’t until 1906 that the first death attributed to asbestos dust inhalation was recorded. Unfortunately, despite health concerns and reports continuing to increase over the ensuing decades the industry continued to grow. Global production of asbestos tripled to over 109,000 metric tons by 1910, before being boosted substantially again by the demands of both World Wars. 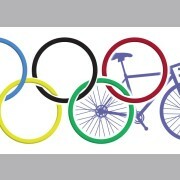 Building cement, wiring insulation, cars and planes all made use of the material in some way, particularly in America. After World War 2 demand for asbestos saw a rapid rise yet again as countries around the world sought to rebuild, eventually peaking in 1973 with annual US production alone estimated at over 800,000 tons while the world as a whole reached a staggering 4.8 million tons total. It was only from here – seventy years after the earliest recorded asbestos related death of the era – that the tide finally began to turn as evidence mounted up and the industry saw a decline. 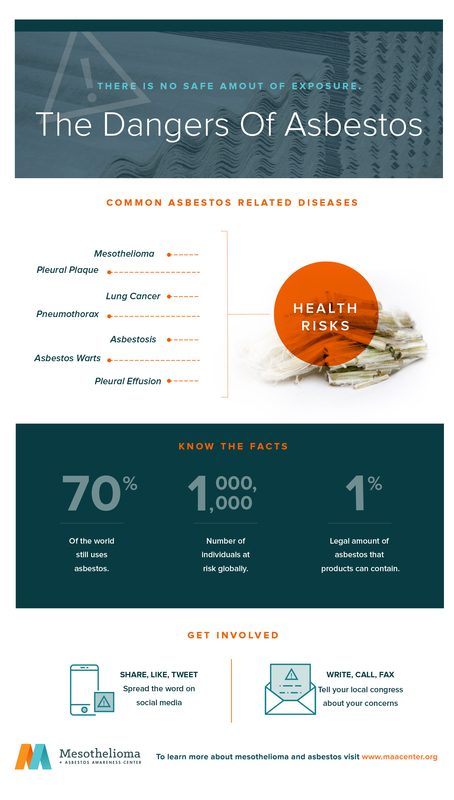 I’ve discussed much of asbestos’s history and its harmful nature thus far without going into specifics, so let’s get to the point; what is mesothelioma? An aggressive cancer which impacts the lung lining, heart or abdomen; the connection between mesothelioma and inhaling asbestos fibres struggled to be made largely due to its tendency to manifest in later life. Diagnosis often occurs decades after initial exposure, with symptoms failing to become apparent in some cases for as long as fifty years. Pleural Mesothelioma – the most common type – is characterised by chest pains, breathing difficulty and a buildup of fluid in the lungs, a typical prognosis for life expectancy following identification is usually between 6 and 12 months with only 33% of sufferers surviving for longer than a year. Peritoneal and Pericardial Mesothelioma are rarer but also deadly, with the former developing in the abdomen lining and the latter forming in outer heart tissues. 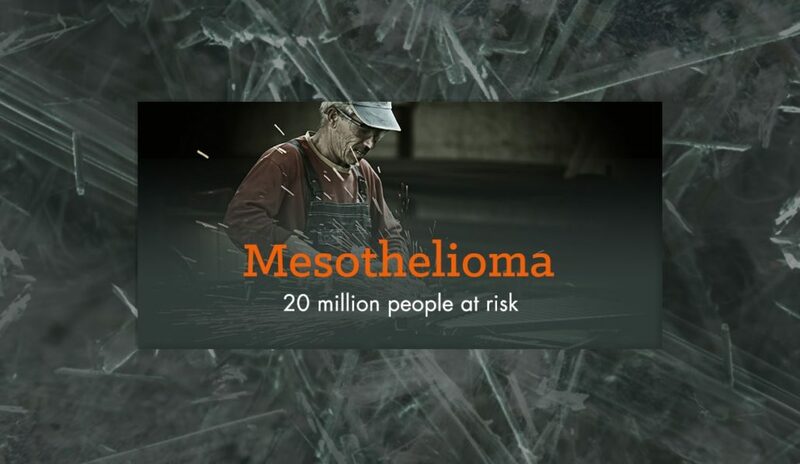 To be clear, the only presently known cause of mesothelioma is from asbestos inhalation, placing the blame firmly on the substance and its usage. I want to underline here that there is no room for doubt as proven by a vast number of sources with enormous fatality figures and a proven connection to asbestos inhalation. Industries and roles which typically place or have placed people in contact with the material include shipyards, plumbing, car factories, boiler work, demolition and the military. UK stats from HSE*1 recorded 2,542 mesothelioma deaths during 2015 in Great Britain, with a steady climb in numbers since 1980. 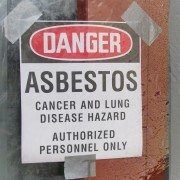 The United States meanwhile is estimated to have around 3,000 new cases of mesothelioma each year*2. The prognosis once mesothelioma has manifested is poor due to the lack of a cure. 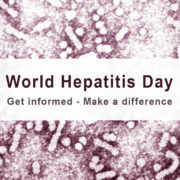 There is cause for hope from newer methods, while treatment can at least slow its spread and ease symptoms, however prevention should ultimately be the long-term solution. With this in mind and all the evidence at our disposal today you would think a global asbestos ban should be something everyone could agree on; unfortunately, you would be wrong. The good news is that more than 60 countries around the world have banned asbestos, with the last variety of the material to be banned in the UK being Chrysotile in 1999. 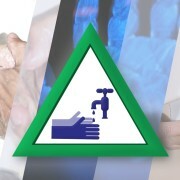 Great Britain also enforces strict safety regulation on asbestos removal and disposal from pre-2000 structures. However, unfortunately 70% of the world continues to use the material in its various forms and – as the MAAC is keen to highlight – among these is the United States of America. The US has some asbestos regulation in place, but an outright ban has been overturned repeatedly over the past sixty years. As outlined previously, since it’s a disease which can take a long time to become apparent the unfortunate implication is that the extent of the problem may not be obvious until it has already claimed a fresh generation of victims. Regardless, exposure estimates paint a horrifying picture, suggesting 20 million Americans will develop mesothelioma within their lifetimes, to say nothing of the global outlook which will likely be many times worse. I mentioned at the start of this blog how I felt compelled to write this piece due to continued denial of asbestos risks either side of the globe. In line with this, I didn’t want to settle with throwing a few bullet points onto a page and giving the world community a pat on the back. Instead I’d like to conclude by highlighting two instances of wilful ignorance which turn a blind eye to the enormous amount of statistics, medical evidence and personal tragedies caused by asbestos. For the sake of being objective and retaining focus on the topic at hand, I’d like to isolate this comment from all other controversy surrounding its source. In this instance, I want to simply consider the statement’s impact coming from one of the most powerful men in the West and how it holds up to basic investigation. The reason this comment stood out to me and seemed pertinent to the topic at hand is because it is ill considered on three separate counts. Getting the most obvious mistake out of the way first; describing a collapse as ‘burned down’ is a bit of a stretch however it’s not the most shocking thing about this statement. Rather it is the suggestion that a century of medical and scientific evidence on asbestos risks should be disregarded without any real counter reasoning that is especially problematic. Then there’s the fact which undermines the entire point completely; the World Trade Center actually did contain approximately 400 tons of asbestos in its construction*4, the effects of which have been seen in the health of emergency responders exposed following the collapse and are estimated to potentially effect 410,000 people. Lest I be blamed for singling only one target out for criticism here, I’d like to shift focus to the second example on the other side of the world; the town of Asbest in Russia. As translating the name from Russian highlights, Asbest’s primary trade is in mining asbestos, quite literally blasting it out of the ground sending its fibres into the air and across the town. Gardens, laundry and windows of residents regularly need to have the substance brushed and shaken off. The only problem is that Mesothelioma doesn’t care if people are afraid. Just like asbestos fibres won’t simply cease to exist because a President says so. Wishful thinking and outright denial impedes a fight that should have us all on the same side, namely the one to put an end to mesothelioma and asbestos use. We’ve had over a hundred years to learn and a wealth of victims are still paying a price far too heavy to justify cheap insulation. Asbestos kills, and the more people openly acknowledge this the sooner we can realise a future free of mesothelioma. Forklift Operational Safety Did you mean NEBOSH? We have placed cookies on your device to help make this website better. By continuing to browse the site, we’ll assume you’re OK to continue. Some cookies we use are essential for the site features to work. Without them, you won't get the same experience. Because these cookies are strictly necessary to deliver the website, you cannot refuse them without impacting how our site functions. You can block or delete them by changing your browser settings and force blocking all cookies on this website. If you still want to block them you can find out how in section 5 of our policy. These cookies collect information that is used in an aggregated form to help us understand how our website is being used and make improvements based on these stats. These cookies are anonymous and contain no personal info. These cookies collect information that is used to help us understand how effective our marketing campaigns are and to further serve relevant marketing of SHEilds products we believe you may have an interest in. Click to enable/disable google remarketing tracking. We also use different external services like Google Fonts, Google Maps and external Video and Social providers. Since these providers may collect some personal data we allow you to block them here. Please be aware that this might heavily reduce the functionality and appearance of our site. Changes will take effect once you reload the page.